PHYTOPROGENIUM is formulated with a natural, clarifying base which gently cleanses irritated and sensitive scalps providing fast-acting relief. Hair and scalp is protected with each shampoo, leading the way to healthy, beautiful hair. 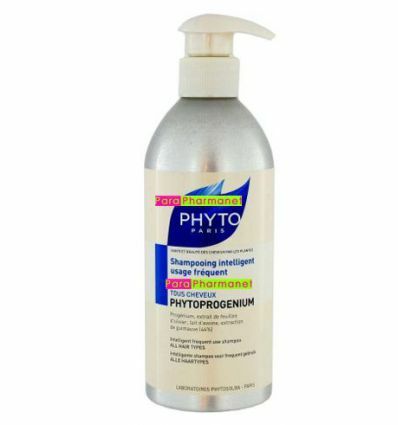 PHYTOPROGENIUM is daily shampoo enriched with oat, almond milk and a decoction of marshmallow root (44%) to gently soften, and antioxidant rich olive leaf extract to protect hair and scalp. Progénium®, an effective active ingredient, protects the scalp’s ecosystem and enhances hair’s natural beauty.